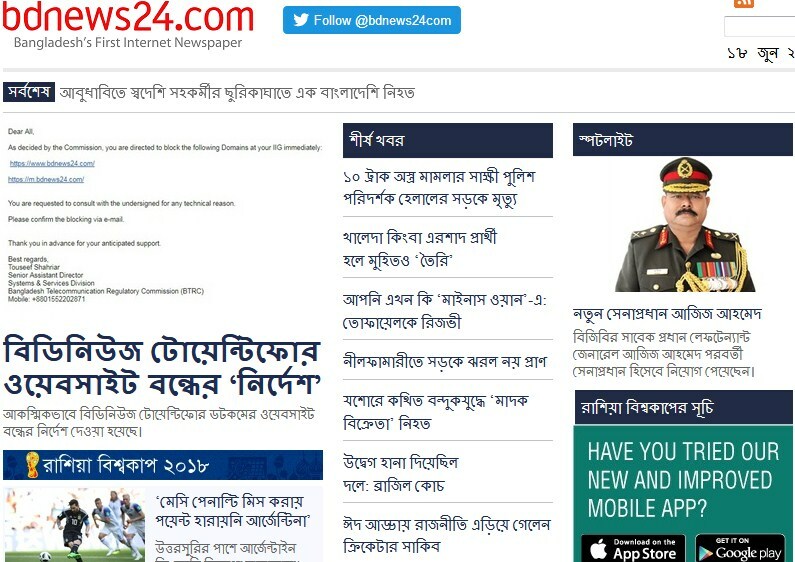 Dhaka, Jun 18 (Just News): Bangladesh Telecommunication Regulatory Commission (BTRC) on Monday ordered all the international internet gateway (IIG) operators to block the online news portal, bdnews24.com, immediately. A notice signed by telecom regulator's Systems & Services Division Senior Assistant Director Touseef Shahriar was sent to them through email to this end, UNB reports. 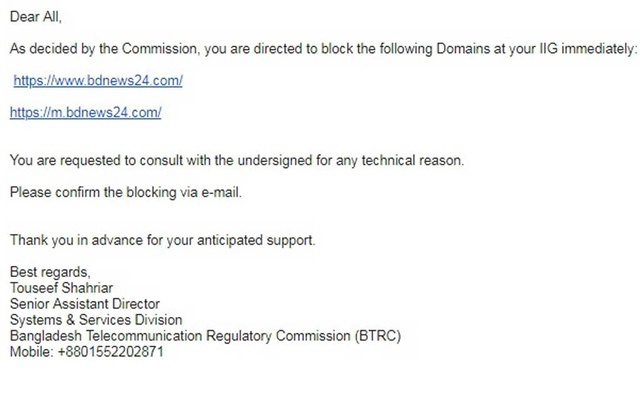 "As decided by the Commission, you are directed to block the following Domains -- https://www.bdnews24.com/, https://m.bdnews24.com/-- at your IIG immediately," the notice reads. "You are requested to consult the undersigned for any technical reason. Please confirm the blocking via e-mail," it further said. 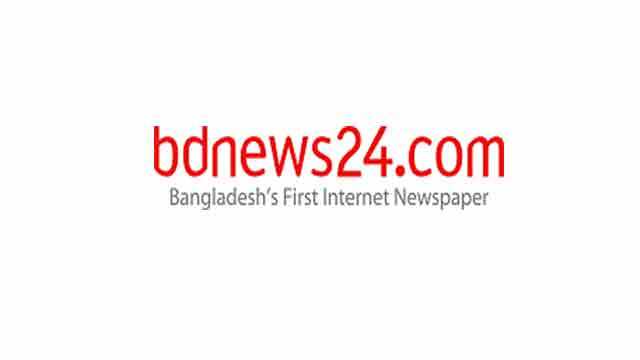 President of Internet Service Providers Association Bangladesh (ISPAB) MA Hakim said they received the BTRC order around 5:15pm. Contacted, acting BTRC Chairman Md Jahurul Haque told UNB that the order to block the news portal was issued following directives of the government high-ups. "Nothing more can be said right now." BTRC Assistant Director Jakir Hossain said the IIG operators were asked to block the two domains as part of technical assistance following the government order.